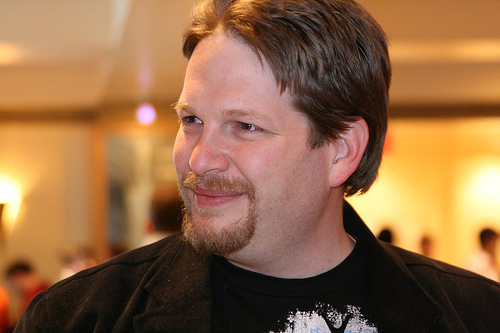 Today, I’m pleased to have Chris Brogan on the blog for an exclusive interview. He agreed to answer some questions that I had, and I think you’ll find the responses interesting. With the rise of Twitter and other micro-blogging platforms, is blogging on its way “out” or stronger than ever? Why/why not? Blogging might actually be diminishing, but that’s hard to tell from the numbers. The rise of spam blogs (splogs) is up highly, masking the numbers that Technorati reports in their State of the Blogosphere. I can tell you that those people who are blogging as a media outlet business are still going strong. Those who are blogging solo or personally are definitely seeming to slow down. You’re working on a new book with Julien Smith, right? Can you tell us a little bit about what we can expect/anticipate? We can’t announce much on it yet. It’s definitely not Trust Agents 2. We’re talking about motivations, business relationships, and how to improve one’s business prospects. What one-sentence advice do you have for people who are just getting into social media for their business? It seems that this new economy is favoring and rewarding the “right-brainer” creative types more than before. Do you agree? I think that’s partly true. I think Richard Florida’s book Rise of the Creative Class has come to be a lot more true than it used to be. I think that right-brainers have the problem of execution and steady operations to contend with, but that there are lots more opportunities for people who don’t seek to be cogs inside larger machines. What’s the digital entrepreneur’s biggest challenge? I’d say that the digital entrepreneur’s biggest challenge is to keep it top of mind that what came before is every bit as true as it was then, and that not all your efforts should be digital. There are real world analog sales and marketing efforts that have to happen to grow business. Should everyone blog? Why or why not? Everyone shouldn’t blog. Some folks don’t have the time. Blogging might not help their particular business goals, especially if their business is transactional. Some people might consider videoblogging or audioblogging. Text isn’t the only way to blog. Who or what are you reading these days that is really motivating or influencing you? I read ALL the time. I just finished Making Ideas Happen by Scott Belsky and loved it. I just finished Today We Are Rich by Tim Sanders, and think everyone should have it. I’ve got a stack of about 30 books to read and maybe review in the next few weeks. Who influences me? Sir Richard Branson. What’s one regret you have with regards to work, blogging, your personal life, etc.? I regret very little. Every experiment and/or every mistake has been something that I’ve learned from and grown from. I guess I regret the hours away from my kids, but when I’m with them, I’m REALLY with them, so I make up for it. What is “success” for you? Success is the ability to say no to whatever I want (work wise) and being able to have time and space to say yes to what matters to me. Thanks for reading this article! If you’re new, you might want to read more about me or follow me on Twitter. You may also be interested in “digging” this article. Great interview, Jeff. Thanks for sharing! His point about “saying no to whatever” in business is interesting as people like me who are smaller bloggers and training to gain some momentum tend to give too many yes’s and then get ourselves into trouble when we can’t execute on all of them! I liked that definition of success too. I love the questions you asked Jeff and Chris top notch on the answers. Chris continues to inspire me with some great content on his site. I remember a year and a half ago reading trust agents and my thinking towards social media, business, and marketing changed. Thank you for that. Cannot wait for the second book. oh and I love me some Julien as well. Thanks, Kyle. I’m excited about the book, too. Nice work, Jeff! You really are an inspiration for bloggers. Your presentation at PodCamp was freaking hilarious, by the way:) I am blessed to call you a friend! Thanks, Courtenay. I loved you session, too. And I agree… on so many of these points. Looking forward to reading those books he suggested. First, way to go go, Jeff! Second, you asked wonderful, thoughtful questions. This is great information to share with the community. I love how Chris defined success. I think how each person defines it is different, but I think his is an excellent way to look at it. Nice job on snagging this interview. I enjoyed reading this interview with Chris Brogan. I constantly go to his site to get advice about social media and marketing. I enjoyed his definition of success, ” the ability to say no to whatever I want (work wise)”, definitely something I hope to achieve. I agree with his thought that everyone shouldn’t blog due to time and the type of business you’re in. Thanks. I liked that definition, too. Yeah, that one surprised me, but I agree, too. This was a terrific capsule-style interview, with every single question ringing with relevancy and the sheen of unabashed investigative wonder. I thoroughly enjoyed Chris’s responses, as well. Excellent work all the way, my friend. Bravo! insight is extremely useful. Thanks for sharing this information.